The American ideals of free markets, free trade, capitalism, sound money and limited government are really quite simple and straightforward. It doesn’t take a lot of paperwork, rules and bureaucracies to make these things happen. But you only have to dip a toe into the bureaucratic nightmare that has become the reality of international markets and trade, corporate finance, tax compliance, foreign exchange markets and regulatory compliance issues to realize that what we have now is really nothing like what free market capitalism should look like. FATCA, the Foreign Account Tax Compliance Act, is a horrific example of our “free market capitalism” that has gone very wrong. Officially set as law as of July 1, 2014, it was touted as a way for the IRS to go after money launderers and tax evaders. However, it is quickly becoming one of the worst examples of financial totalitarianism in recent history. To recap: It is a new law that requires foreign banks with American depositors to report to the IRS details about those U.S. clients including names, account numbers, account balances, etc. Foreign banks can give up all their American clients, and many are, because if the IRS finds them to be non-compliant, they will be penalized 30% of any remittances from the U.S. To comply, these banks must set up agreements and file forms through the IRS. The law was passed as part of an unrelated bill with very little scrutiny, no rigorous cost/benefit analysis, and no real representation of the people it actually affects most – expats of modest means living abroad, doing the best they can. Of course, those it aimed to catch – the high net worth international criminal type, the “fat cats” – have their money stashed away in other places and in ways the law doesn’t address at all. How can they even do that? How is that even possible under international law? Under U.S. law? In his piece on Forbes, Jatras goes on to point out that, in fact, the IRS cannot do what they want to. To achieve compliance with FATCA’s reporting mandates, Intergovernmental Agreements (IGAs) are being negotiated by the U.S. Treasury Department with each foreign government. The Treasury Department does not have legal, constitutional authority to negotiate treaties or agreements with foreign governments. But it doesn’t seem to be stopping them from doing it anyway. Yet. Evidence is mounting that FATCA wouldn’t stand up under a legal challenge. Fortunately, attorney Jim Bopp, who successfully went after McCain-Feingold, has FATCA in his crosshairs now. He plans to mount a legal challenge to the law, if it gets to that. Political challenges are gaining some momentum in Congress, buoyed no doubt by the logistical and practical nightmares the law presents. In the meantime, costs are adding up for all the countries struggling to comply. Canada alone has incurred compliance costs estimated at more than $693 million. Worldwide, compliance should cost financial institutions upwards of $8 billion every single year. That is astounding on its own, but even more so when you realize the IRS is expecting to net only $792 million in additional tax revenues. But what do they care? They are not the ones paying the $8 billion. The unintentional consequences of this law were predictable, and now that the July 1 effective date has passed, those consequences are starting to rear their ugly heads. Many foreign banks are looking at business with America and Americans in a new and unflattering light. They are faced with choices – to do business with the U.S., or to not do business with the U.S. Some are choosing the latter. Some are actively positioning themselves for a future where they can eventually choose the latter. All are wishing they didn’t have to put up with this draconian nonsense. Soon enough, many more of them will cease to put up with this draconian nonsense. For months now, many of our clients at Birch Gold Group have asked us, “I live in the U.S. How does this FATCA law really affect me?” It’s this last point we stress: Foreign banks and foreign institutions will cease to put up with us – with our regulations, with our bureaucracy and with our dollar. These are not good directions for our government to be pushing our business partners. This is not good for Americans. It’s not good for America. It’s terrible for the future of the dollar. We hear more and more talk about alternatives to the greenback, like a Chinese gold standard. If that happened, it would be game-set-match for the U.S. Dollar. What a tangled web, indeed. It is moves like FATCA, where politicians and bureaucrats run roughshod over the legal and constitutional limits placed on them simply because they can. This is not freedom or the free market. 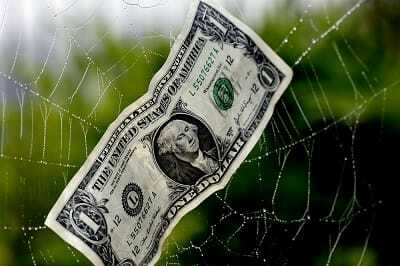 This is hamstringing the global economy up in webs of red tape. This is not the rule of law, it is the rule of man. And when laws and regulations are subject only to some faceless bureaucrat’s whim, we have a problem. We have a massive degree of confusion and uncertainty right now as to how this will unfold in the future. But it is costing people money now. Even if it is declared unconstitutional, struck down or repealed some months from now, it is causing real damage today. Worse still, the powers-that-be could just let this monstrosity slide. Yet in the meantime, many of these foreign institutions that are being burdened are moving faster and faster to identify alternatives to dealing with the U.S., and with the dollar. And the sooner they find those alternatives, the sooner the move to those alternatives, the sooner our dollar will collapse and cease to be the global reserve currency. It’s situations like these that keenly remind us for the desperate need to remain diversified out of the dollar, and the stocks and bonds and mutual funds that are denominated in dollars. Are you protected from the dollar’s ongoing loss of value? If not, we urge you to take action today. All it takes is a simple phone call or a click right here to request a free investment kit on gold.